Life, in all its shapes and sizes, is extraordinary. The simple idea of any species’ existence in the first place is a miracle in and of itself. Nature, through its painstakingly slow process of trial and error known as evolution, has been made in such a way that almost every nook and cranny on the planet has become home to a particular species of plant or animal that fit together to near perfection. And not only that, but the fact that all of these species strike such a perfect balance with each other that, given the right circumstances, this equilibrium can go on seemingly forever. Only when something atypical happens, such as a meteorite impact, a super volcano eruption, a change in atmospheric chemistry, or a species that, for some reason, survives even after exceeding its own carrying capacity, does that equilibrium begin to unravel itself. This carrying capacity, by the way, is the maximum population size of a species that can be supported by the surrounding environment indefinitely. Anyway, given Earth’s long history, these ‘rare’ events did happen on more than one occasion. And because of them, nature had to reboot itself in terms of life – so much so that over 99% of all species that have ever existed on the planet are now gone. With that being said, here are 10 extinct species of plants that were once part of this almost perfect planetary balance. Back in 1919, a botanist by the name of Anselmo Windhausen noticed that local farmers from Patagonia, Argentina were collecting some never before seen petrified cones. He investigated the matter further and in 1923, came across the Cerro Cuadrado Petrified Forest of Patagonia, dating back some 160 million years. As it turns out, this forest from the upper to mid-Jurassic period was suddenly engulfed in lava flows from a nearby volcanic eruption that engulfed the entire region, turning the trees into stone. Archaeological evidence shows that two species were predominant in the prehistoric forest – the Par araucaria patagonica and the Araucaria mirabilis. This last one was also the one that left all those petrified cones behind. The volcano erupted just as the cones finished maturing, preserving them for millions of years. Petrified tree trunks are lying on their sides in plain sight, while other stumps are still standing. Though once covered by sediments, erosion has brought them back to the surface. The trees themselves could measure as much as 330 feet tall and had a diameter of 11 feet. Their cones were ellipsoidal in shape and averaged around 2 inches in diameter. Its closest living relative is the Araucaria bidwillii, or bunya pine, found naturally today in southeast Queensland Australia, and the two species share a lot of similarities. Araucaria mirabilis’ name derives from the Spanish exonym Araucanosi, meaning “from Arauco”, and the Latin mirabilis, which means “amazing”. Probably the oldest land plants that have ever existed, the Cooksonia inhabited the earth more than 400 million years ago. They were small in stature, no more than a few centimeters, and were the first plants to have a stem. It was, in fact, the most primitive form of vascular land plant ever. It only had a stem that bifurcated several times before ending in some small sphere known as sporangia. These small spheres were where the spores would form, and ferns today have something similar. These ancient plants, however, had no leaves or roots, and scientists aren’t still sure how they fixated themselves to the ground. Some speculate that the Cooksonia made use of rhizomes that were not preserved in the fossil record. They are fairly certain, however, that these plants lived only along rivers and coastlines and were quite often submerged underwater. These Cooksonia were predominant throughout the late Silurian period, with the oldest fossils being discovered in present day Ireland some 425 million years ago. They ranged all across the coastlines between the northern 45 and the southern 30 latitudes. By the early Denovian, however, the fossil record indicates that other plants appeared on the scene. In any case, their dominance over the landscape for many millions of years meant that they played an important role in the appearance of other surface life, by changing the soil composition and allowing other creatures to take root in the ground. Also known as the scale tree, the Lepidodendron was by far the most abundant plant species of the Carboniferous Period. During this time, the Earth experienced its highest levels of atmospheric oxygen, leading plants to grow and die at a much greater rate than ever before. Temperatures were also higher back then and the Lepidodendron spread throughout most of the world, particularly in the Northern Hemisphere. It was so abundant that it now makes up much of the coal deposits all over the world. The Carboniferous Period lasted from about 359 to about 299 million years ago, but fossils have been discovered as late as 205 million years ago in present day China. Their closest relatives today are club mosses, but unlike their modern counterparts, the Lepidodendron towered 130 feet into the air, and their trunks grew to 6 feet in diameter. But instead of actual wood, the trunk was made out mostly of soft tissue. What gave it resistance, however, was its thick, scale-like bark. Despite being so huge, these trees grew in close proximity to each other and lived for only 10 to 15 years. The diamond-shaped scales on the trunks were actually imprints left behind by the leaves as they fell off while the tree was growing. This is also the reason why these trees could grow so close to each other. As they were growing, the Lepidodendrons didn’t have any branches and only had a crown of leaves at the top. As the trunk grew, a new set of leaves would emerge while the old ones would fall to the ground, leaving behind their mark on the bark. Only when the tree reached maturity did it form a binary set of branches. Like most early plants, these scale trees made use of spores to reproduce, and each tree did so once around the end of its life. By the Mesozoic era, they disappear from the fossil record, probably because of climate change, as well as the appearance of the smaller gymnosperms like cycadas and conifers. Dr. John M. Riddle, a historian at North Carolina State University, has long been studying ancient civilizations. And he came to the conclusion that ancient peoples such as the Egyptians, the Greeks, and the Romans purposely kept their populations low. But while some argued that this was because of high infant mortality rate and people constantly dying in wars, he pointed out that the biggest population decreases happened mostly during periods of peace and prosperity. This meant that they were using some form of contraception. This is where Silphium comes in. This was a plant, possibly related to parsley, which was heavily cultivated in ancient times. It was used for various ailments and possibly also as a contraceptive. Unfortunately, however, there isn’t much information about the plant, but there are some ancient writings that point to its possible uses – including as a form of birth control. Silphium grew only on a narrow stretch of coastline in North Africa, in what is now present day Libya. The ancient Greeks built a colony there around 630 BC and named it Cyrene. The colony became immensely prosperous, mainly by trading Silphium all across the ancient Mediterranean world. The plant was so important for the economy of Cyrene that it was depicted on their currency. 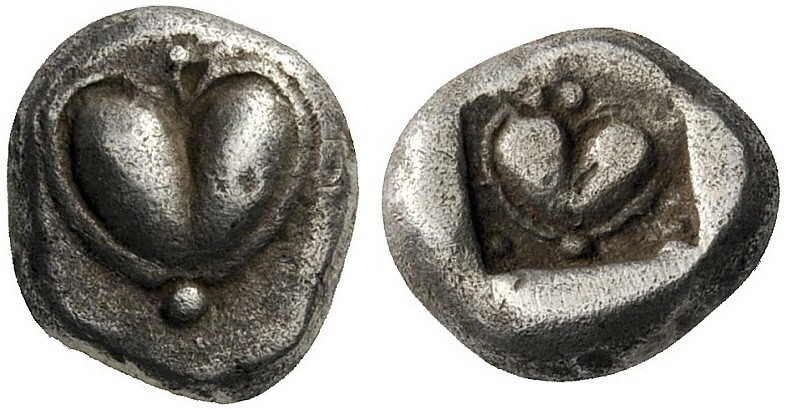 Some coins depict its heart-shaped seedpod, leading some to speculate the seedpod to be the origin of the heart symbol today. Even the Minoans and Egyptians designed their own glyphs for the plant. In any case, it was so sought after that by the 1st century BC, Silphium went extinct. The problem was that it couldn’t be properly cultivated by people and only grew in the wild, in its native habitat. And even if the government of Cyrene may have tried to protect it, smugglers could have easily landed off the coast and picked as much of it as they could before leaving. In any case, Pliny the Elder, a Roman scholar, mentions that the last stalk of Silphium was given to Emperor Nero, who immediately ate it. There is, of course, the small chance that the plant was misidentified and that it still exists somewhere in the wild today. Even though this ancient tree and the Araucaria mirabilis mentioned before are separated by several thousand miles and 47 million years, they both share a somewhat similar story. As the names suggests, the Araucarioxylon arizonicum once grew in abundance in what is now Arizona. But some 207 million years ago, the once lush forest was covered by ash and lava flows from nearby volcanoes, thus petrifying the forest in place. Scattered all across the almost barren desert floor, there are sections of multicolored tree trunks that make up the Petrified Forest National Park in east central Arizona. These ancient trees once grew to 197 feet and had a diameter of about 10 feet. Its closest living relatives are the Monkey Puzzle Tree in South America and the Norfolk Island Pine. The Navajo believed the stone trees to be the bones of a ‘Great Giant’ killed long ago by their ancestors, while the Piute Indians saw them as arrow shafts used by their thunder god, Shinauav. Only in 1888, with the Smithsonian curator F.H. Knowlton, were these fossils identified for what they really were. But once people learned their real identity, they began rampantly gathering the petrified wood to make tables, tiles, jewelry, and all sorts of other objects from them. With the area becoming a national monument in 1906 and then a national park in 1962, the plundering slowed down a bit, but even today it is estimated that 13 tons of petrified tree material is being spirited away by tourists every year. Back in 1912, Alfred Lothar Wegener, a German meteorologist, polar researcher, and geophysicist, first came up with the theory that continents are slowly drifting across the face of the planet. Thanks to him, and to modern technology such as GPS satellites, we now know for certain that this is happening even as we speak. But back in the early 1900s and up until the 1950s, this theory was quite controversial. Nevertheless, he first thought of this possibility when he realized that the continents kinda fit with each other if we were to push them together – as is the case with Africa and South America, for instance. To prove his theory, he travelled on both sides of the Atlantic Ocean and analyzed the fossil records for similarities. And to his surprise, many of them were a match. And possibly the most widespread fossil evidence came from a plant known as Glossopteris. With this plant’s wide distribution over most of the Southern Hemisphere, Wegener was able to deduce that South America, Africa, Antarctica, Australia, and India were once connected to form a super continent known as Gondwana. The Glossopteris were seed bearing trees, related to present day ferns and the largest of their kind. They towered almost 100 feet high and became the dominant land plant during the Permian period some 300 million years ago. The Glossopteris were part of the larger Glossopteridales group of plants, but the actual number of species is hard to make out based on the current fossil record. This is because most of what we have about them comes in the form of unattached leaves of different sizes. These might have belonged to different species or were part of the same plant at different stages of development. Scientists are, however, certain that these plants were deciduous, shedding their leaves annually. But regardless of the large number of leaf fossils found all throughout the Southern Hemisphere, including Antarctica, nobody really knows what these plants actually looked like since no large pieces were ever found. But based on the fragments we do have, some believe the Glossopteridales to have been either large shrubs or small trees, somewhat like present day magnolias or ginkgoes. Named after Benjamin Franklin, the Franklin tree or Franklinia alatamaha is a species that was native only to Georgia, growing in the wild only along the banks of the Altamaha River, near Darien in McIntosh County. It was first discovered by botanist John Bartram and his son William in 1765. He described it as a shrub, growing some 20 feet high, and being somewhat similar to the loblolly bay plant, but with larger and more fragrant flowers. It has dark green leaves that turn red, orange, and pink in the fall, and forms some three-inch white flowers from late summer until frost first appears. When John Bartram returned to the site in the 1770s, he discovered that the Franklin tree was only growing on a narrow patch of land, two or three acres across, and by 1803 there were no more official sightings. Some people had been reporting the tree as late as the 1840s along the Altamaha River, but since then, it was declared to be extinct in the wild. The reason for its disappearance is still unknown, but some speculate that because it wasn’t genetically diverse enough on the account of it being found in only one place, the Franklin tree was susceptible to pathogens. And these pathogens may have been carried by the river into the soil from the many cotton plantations found in the region at the time. Luckily, Bartram took some seeds with him back to Philadelphia and was able to grow the tree there. Since then, the Franklin tree has been grown by horticulturists and gardeners in some parts of the eastern United States. All of the Franklin trees around today are from Bartram’s specimens. Back in 1969, a set of four US stamps were issued, each with a plant that was to represent the four regions of the country. The Franklin tree was chosen to represent the South. Today, there are some efforts being made to return the tree to its native habitat, by planting some along the banks of the Altamaha River where it was first sighted. Back in 1986, George Poinar, an entomologist at Oregon State University went on a field trip to the Dominical Republic to retrieve around 500 fossils encased in amber that were discovered in a mine there. And in the following 30 years, he analyzed the many insects that made up that batch. But in 2015, he sent some high-resolution photos of several flowers also encased in the amber to Professor Lena Struwe at Rutgers University. Since the flowers were in perfect condition, she was able to deduce that they belonged to the Strychnos genus of flowering plants that exist today, which are all poisonous to one degree or another. These plants contain strychnine, an alkaloid used in pesticides such as rat poison. This particular plant, which Professor Struwe named “electri” after the ancient Greek word “electrum”, and which means amber, is the first neotropical flower preserved in this way. It is also dated to be somewhere in between 15 to 45 million years old. This discovery is very important in the academic world, shedding some light on the evolution of this branch of the Strychnos genus, as well as the even larger Asterid family to which these plants belong. And given the fact that the flowers stood there for nearly 30 years without being analyzed, it also points to the large number of still unknown species hidden away in natural history collections all across the world and the few experts available to examine them. Easter Island is one of the most remote places on Earth, located about 2,200 miles from South America and 1,300 miles from the Pitcairn Islands, which are the nearest inhabited islands. They are most famed for the almost 900 statues known as moai, built there by the locals soon after their arrival on the island around the 13th century. But unbeknownst to many is the fact that the island didn’t look anything like it does today. Over the centuries, these inhabitants have been cutting down the island’s trees to such an extent that by the 17th and 18th centuries, the local civilization went into decline because of it. The arrival of the Europeans brought further degradation to the island with extensive agriculture, massive deforestation, and the introduction of grazing sheep. Jacob Roggeveen, the Dutch explorer who discovered the island on Easter Day back in 1722, described it as exceptionally fertile, but since then the topsoil has eroded and only 7.7% of the currently existing flora is endemic to the island. The Toromiro Tree, which is the island’s national tree, no longer lives there. The last one was felled inside the Rano Kao volcanic crater back in 1965. It is a small shrub tree measuring about 6 feet in height and is characterized by its twisted trunk and heavily fissured red bark. Back in the 1950s, some seeds were collected and the tree survives in several botanic gardens in Europe and Chile. There have been several attempts to bring it back to Easter Island but none have been successful so far. First discovered in 1859 in Canada, Prototaxites have baffled the academic world ever since. Found in many places around the world, these giant spires measured some 24 feet high and had a width of three feet, being dated as early as 420 million years ago and disappearing from the fossil record some 70 million years later. Most believed them to be some form of algae, lichen, or even a primitive form of conifer, but something didn’t add up. Only in 2001, with Francis Hueber at the National Museum of Natural History in Washington DC, did the mystery begin to unravel. He proposed that the huge trunks were actually fungi. He based his assumption on their internal structure, but had no conclusive evidence to back it up. To be fair, fungi aren’t actually plants, being more closely related to animals. But it is important to note that fungi were the first organisms to call dry land their permanent home, and make the soil rich enough in nutrients for plants to eventually take root. This is also how C. Kevin Boyce, a geophysicist at the University of Chicago, answered the question of the Prototaxites’ true identity. He analyzed the carbon compositing inside their fossils with the carbon composition of plants from that period. And since plants, unlike fungi or animals, get their carbon only from the air the ratio of carbon isotopes should be the same in all plants from the era. Analyzing the fossils, they came to the conclusion that these huge trunks were not actually plants and were most likely giant mushrooms that dominated that ancient world.